And so, after trying out Mucota DYNA treatment at Headlines by Artistry last month, I was back at the salon again to get rid of my faded, hay-coloured hair ends. Without a concrete idea of exactly what colour I'll want to try out, I decided to leave it to my stylist, Chris, and we decided to go for a reddish-brown colour that'll fade into a light brown (hopefully no more yellow ends!). My Golden Lion Tamarin look! Well, I don't know if I can pass it off as an intended ombre-hair, but... I'm really not feeling the yellowness. 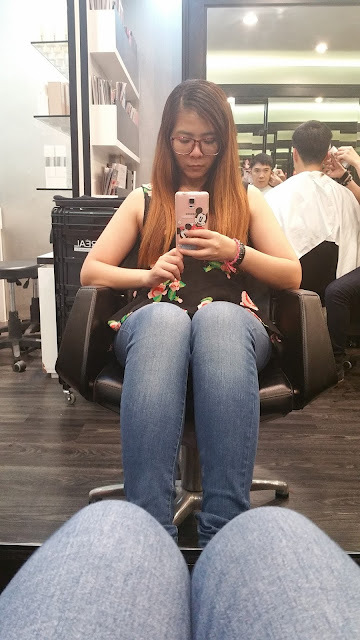 Even with my thick and long hair, the procedure of getting both the hair colouring and the Mucota Scena 3 step hair treatment, and a haircut took me only about 2 hours or so. Chris also took the time to curl my otherwise lifelessly straight hair ends into pretty curls while blow-drying my hair. Ahh, if only it can be done easily with my amateur skills... or rather, no skills. And a selfie in natural lighting to show you the actual colour of my hair, a pretty reddish milk chocolate brown colour. 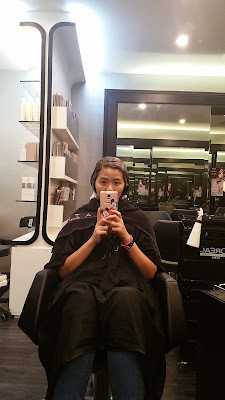 Doing the Mucota Scena 3 Step Treatment also means I get soft and smooth hair for the next 3 weeks or so! I reckon if you have relatively healthy hair (unlike my bleached ones) you can get the smoothing effect to last for up to 1 month. 10 Anson Road, International Plaza, #03-32. Do look for Chris and quote "Mia" to be entitled to 10% off all hair services for first-timers. I always love Loreal hair product.. I'd been using it for very long and I'm still using it... Love your hair colour! 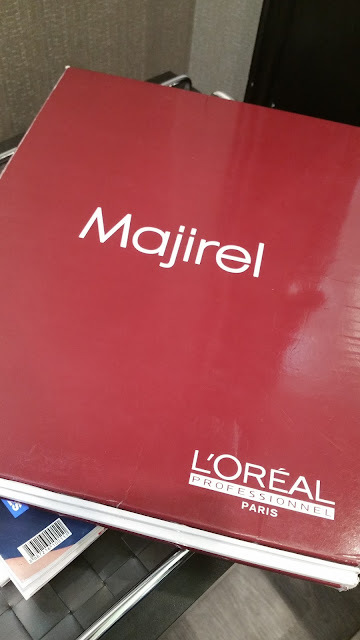 Loreal is a noted brand of hair coloring product so it should be good if you are not allergic to it. The Headlines people really know how to apply it best. Good for you! 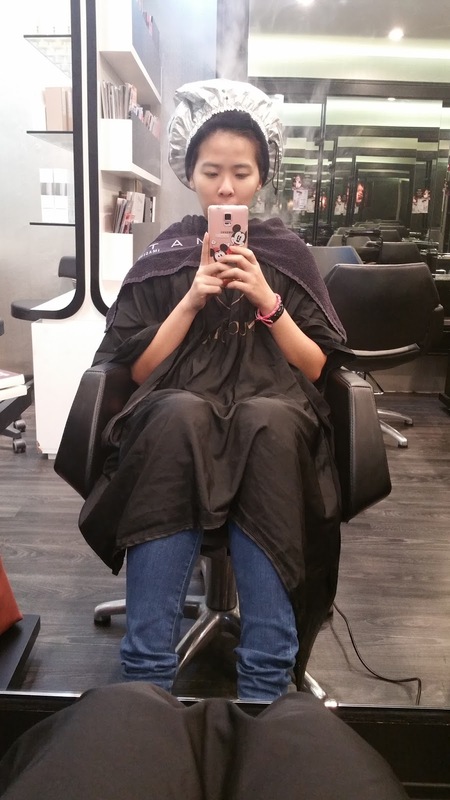 I also always use loreal products when I have my hair coloured & for after care. Your new colour looks lovely. It looks so much healthier. Nice color! I haven't colored my hair for years. I only did it thrice though, and it was still close to the shade of black. I hope to try it again one of these days. I have been a long time user of Loreal and I love their colors. I have been using loreal products for years now. Those have changed my oily hair to shiny,glossy and puffy. But I am still to use hair colours for now. However great review and it has turned me to try dying my hair for once. L'Oreal is very good with their hair products, even their shampoo is awesome. I love the new hair color, it suits you well, that the perfect choice! 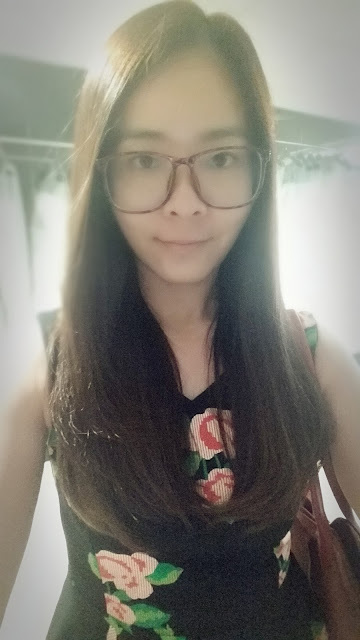 Beautiful hair. The color suits you really well. 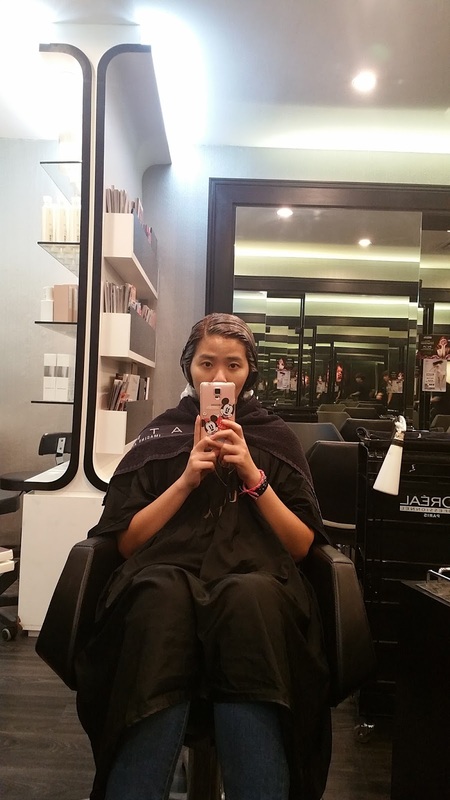 I'm too scared of hair coloring though. I have a super fine, super sensitive, super dark hair. If I bleach it, I'm sure I'll go bald. Though, I don't like colouring or dying of here but looking at it, it is just beautiful. The color suits you really well. The colour really suits you and your hair looks sooooo rich and healthy! Loreal is really a great product for the hair. They did a great job on your hair. Bronze with a hint of red is so much in fashion these days and recently saw few of my friends with that shade. I loved the hair color of yours. I don't use hair colors though. Prefer heena. The color turned out really nice. It looks great on you. Im not particular when it comes to hair colors but this one is nice! You look great on it.